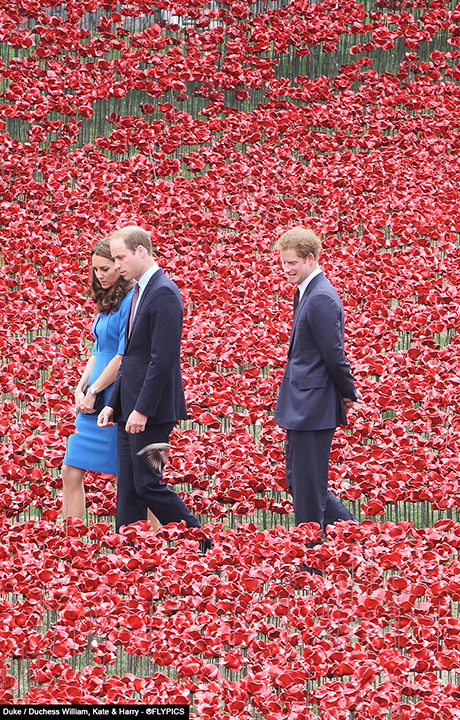 The moat around the Tower of London was transformed into a sea of red ceramic poppies to commemorate British and Commonwealth soldiers killed in World War I on the 100th anniversary of its start. Attending the ‘Blood Swept Lands and Seas of Red’ launch the Duke and Duchess of Cambridge William and Kate were joined by Prince Harry. 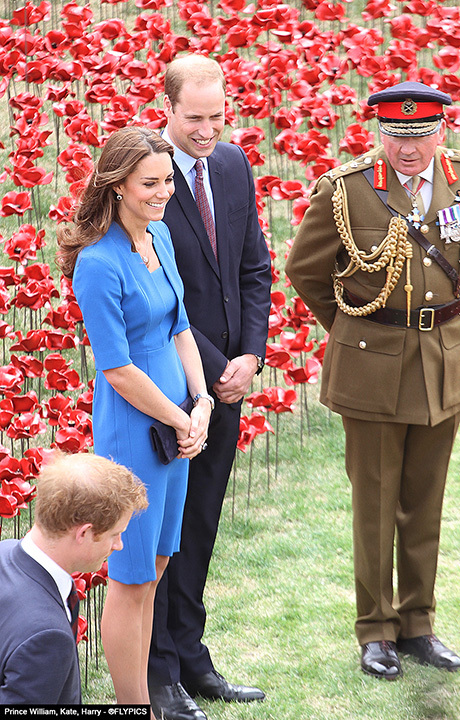 The Duchess of Cambridge, Kate looked fabulous wearing a defined blue dress that perfectly contrasted against the sea of red ceramic poppies. 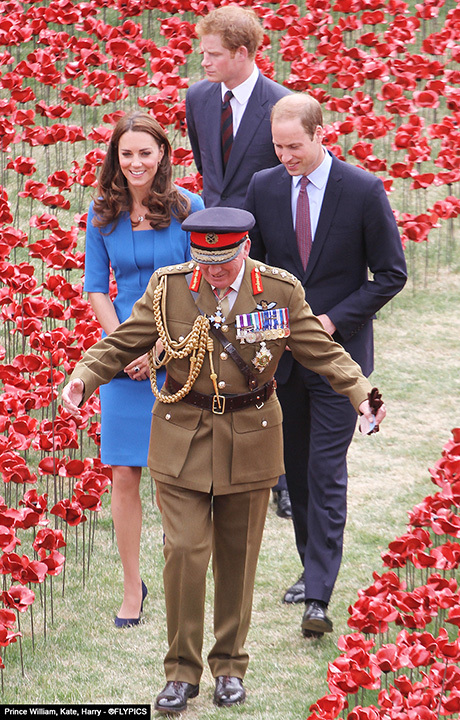 The royals took turns to plant their own ceramic poppies as a symbolic gesture to the occasion. 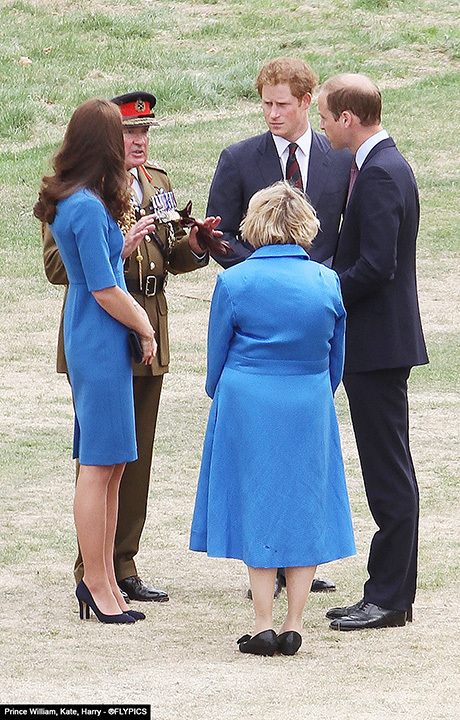 Prince William and Harry were styled accordingly for the event wearing dark suits and burgundy ties. The royals were given a guided tour of the area and they responded to cheers from surprised onlookers, royalists, tourists and the media. 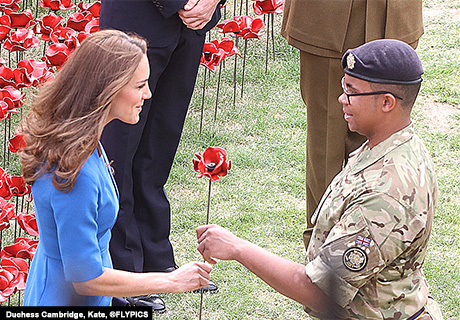 It has been a busy few months for the royals who’ve been pictured by Flyer at various events across the UK. Kate looked fabulous in red attending a junior school in North London. Pictured recently in the royal borough of Greenwich, the Duchess looked stylish wearing a white dress as she attended the maritime museum. 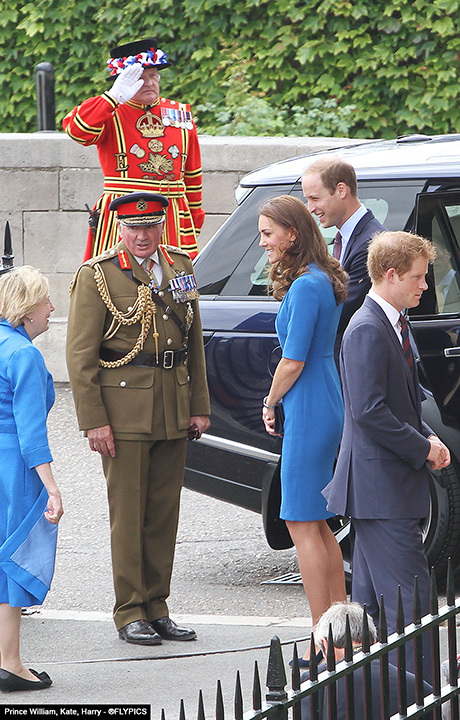 The following is a video footage of the royals visiting the Tower of London.